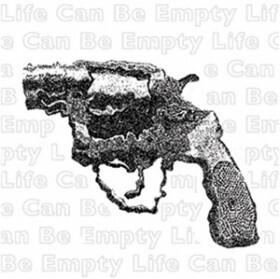 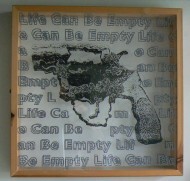 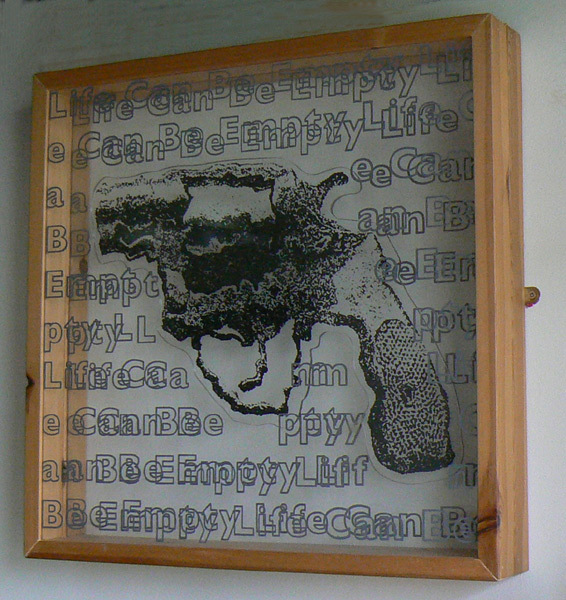 Text reads ‘Life can be empty’ and is repeated continuously running throughout the design. 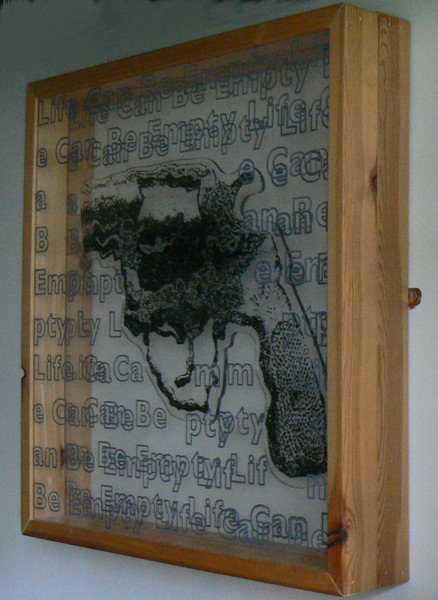 This is a multi -layered screenprint, made up of two layers of clear perspex screenprinted with continous grey text with the black image of a gun mounted on the back sheet of perspex which is all mounted within a handmade wooden frame. This was a one off piece for a show.